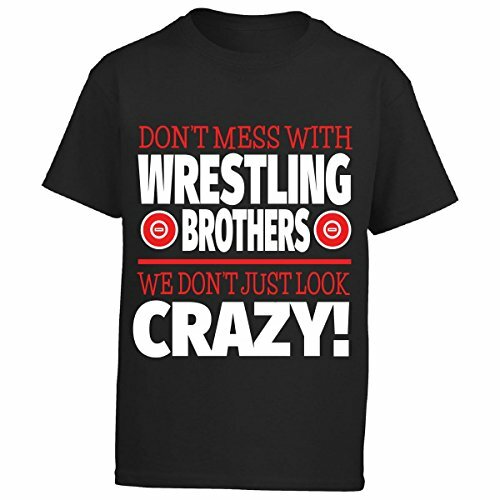 This funny gift for wrestling siblings says, Don't Mess With Wrestling Brothers. We Don't Just Look Crazy. Cool gift for wrestling brothers for the end of the season, Christmas or a birthday. If you have any questions about this product by Eternally Gifted, contact us by completing and submitting the form below. If you are looking for a specif part number, please include it with your message.